HEALING LOVE 💗 HERE & NOW. There was a terrible shooting in town last night. Sooo much pain. People lost their lives and other people have been injured. 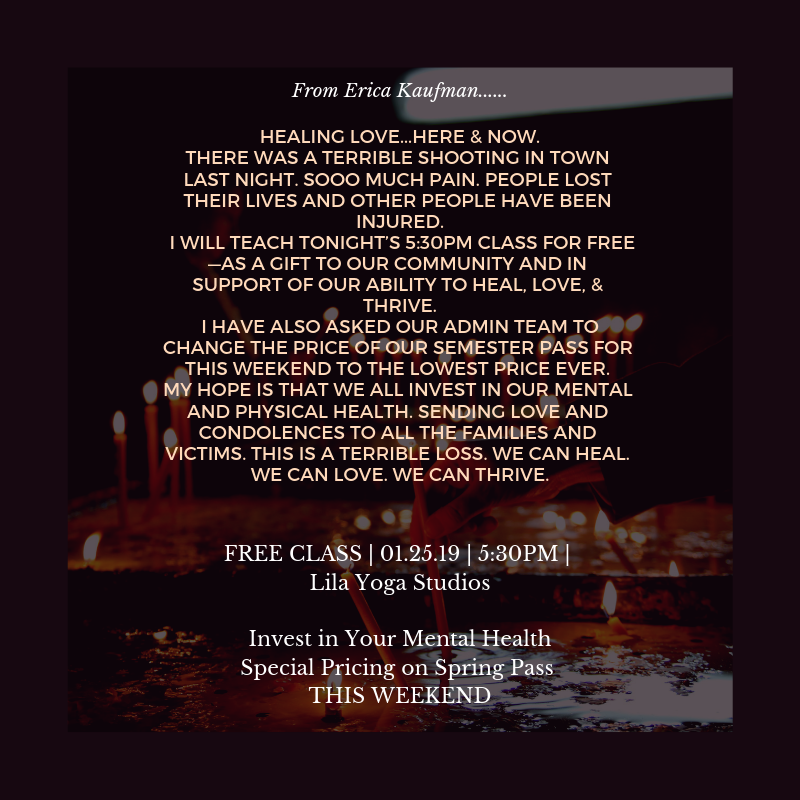 I will teach tonight’s 5:30pm class for FREE—as a gift to our community and in support of our ability to HEAL, LOVE, & THRIVE💗🌱.